Cash for Cars VIC knows how to buy junk cars, leaving our customers with maximum payouts for their junk cars. We are your one stop shop for Junk Car Removal, wrecking, & recycling cars of all makes and conditions. To get our cash quote, call us at 0423 199 008. There is no reason to have your junk car deteriorate any further. Cash for Cars VIC will buy without hassles. We are junk car buyers in Victoria and will pick up your car and even remove and recycle its oil. With our expertise in wrecking & recycling, you can count on a maximum payout of up to $9,999 for your junk car of any make and condition. We buy cars that are badly rusted and don’t run, ones that have worn tyres, and ones that have a few good working parts under the hood and wreck & recycle them all. Our Wrecking yard is your one-stop shop that comes to you to buy & remove your junk car. With us, all concerns of how to get rid of your scrap car are eliminated. We come to you to buy and remove your car, paying instant cash on the spot. Your scrap car could be worth a couple hundreds of dollars or more, and you’ll be counting it at the time we remove your car. At Cash For Cars VIC, we provide our customers with Junk Car Removal that are fast and courteous, fitting the removal into their busy schedules and taking minimal time to buy & remove the car. Junk car removals are convenient to schedule. Just give us a call for a quote and accept the quote. Once a quote is accepted, we’ll come to you to remove your car for free. Your junk car may have heavy body damage with a few good part under the hood; or, maybe no parts under its hood. Regardless, we have the expert wreckers and recyclers in Melbourne that assure to get the best value for your car. 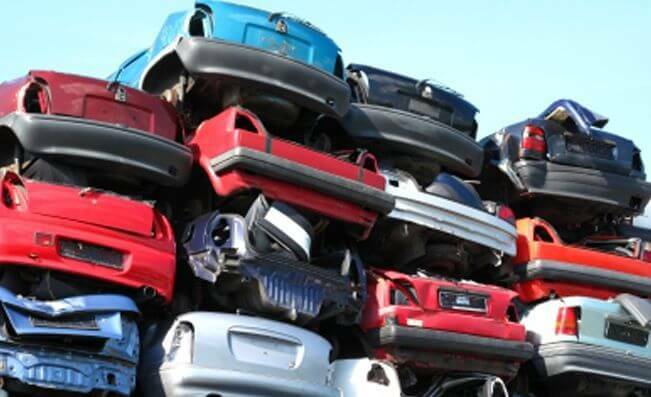 Once our wreckers dismantle cars, our recyclers go right to work to get optimal value for your car recycles. We are the eco-friendly wreckers who are fully equipped to wreck and recycle all car classes and brands, and the wrecking and recycling is always a courtesy service provided by Cash for Cars VIC. Cash for Cars VIC is an established, trusted and reliable car removal service in Victoria, Australia, with years of experience that makes a difference when getting rid of a junk car. We ensure exceptional services when buying cars & trucks, and complete each service with our customers in mind. Our team is experienced, quick, and courteous. Instant cash quotes over the phone or through our online “Get a Quote” form found on our web page. Instant cash payments that are paid on the spot at the time we come to remove your car. A Junk Car Removal company that sets removals at times convenient for our customers, so they do not have to rearrange their days. A company that assures to buy any make and condition of car or truck. Get your wrecked Ford, your junk Subaru, or your used Isuzu sold over the phone and for top cash. A company that provides all the necessary paperwork to legally buy your car. You simply read and sign. We are a top car removal company in Melbourne who you look for when selling junk cars & trucks. Send us an email at info@cash4carsvic.com.au.